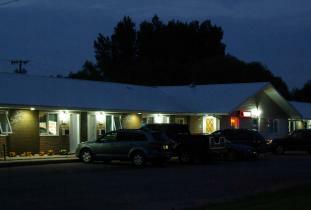 Clean, quiet, air-conditioned rooms with TV, telephone, and high-speed Internet. In-room coffee, complimentary continental breakfast, theme suite with private hot tub, seniors rates. All major credit cards.